Passion for water; This like new with less than 60 hour is ready for your recreation. Take a look, you'll be happy you did! Blue/White in color is an eye catcher. Comes with galvanized trailer w/ Gatorhyde tandem, This boat is equiped w/ 5.7 GXI/DP 320HP nothing but the best, a pleasure to show. 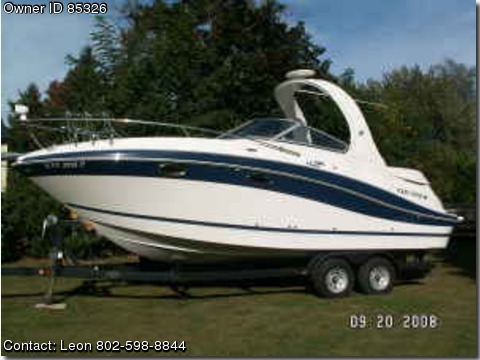 You can see more info about this type boat by going on Four Winns web page and see your savings. This Boat is ready for you!